2018 is bound to be a fascinating year in healthcare. With rapid changes in the healthcare landscape it takes a nimble and diverse team to lead a successful hospital or healthcare organization. This executive level discussion/presentation for C-Suite leaders will highlight major developments affecting healthcare leadership in 2018. 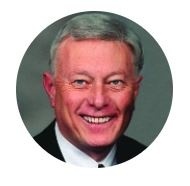 Don Wegmiller was developer and CEO of the Allina Health System, one of the Upper Midwest’s largest integrated systems, for 15 years and then became CEO and later Chairman of INTEGRATED Healthcare Strategies, the nation’s largest healthcare executive compensation consulting firm. He is a Modern Healthcare Hall of Fame member and past Chairman of AHA. Brita Hansen M.D. is Chief Medical Officer at LogicStream Health. 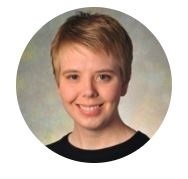 Dr. Hansen is also a practicing internal medicine hospitalist and has served as a healthcare system executive, most recently as Chief Health Information Officer at Hennepin County Medical Center in Minneapolis. Dr. Hansen received her undergraduate degree at NYU and her Doctorate of Medicine from the University of Minnesota School of Medicine. Dr. Hansen is the author of Dr. Brita’s Blog, which covers a range of topics, including healthcare information software and technology, EHR optimization, clinical decision support, healthcare patient safety and quality, appropriate utilization, clinician engagement, and clinical process performance and improvement.